I would like to dedicate today’s post to a streamer I like to watch on Twitch. I first got to know her on itmeJP’s Rollplaying shows, where I drew a picture of her human fighter, Riley. At the time I started following her, she would exclusively stream Starcraft 2. In the time since then she would continue to show up on other Rollplay shows, as well as converting her streams to feature more variety content. 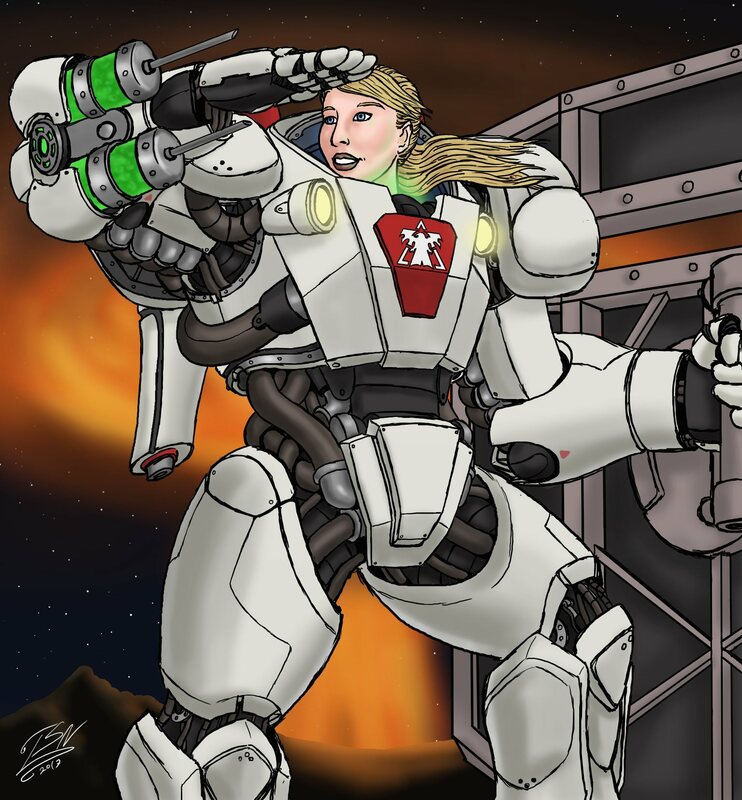 She also graduated in engineering and, at the time of this posting, is on her way to earn a medical degree as well, so that basically makes her a Medic from Starcraft. 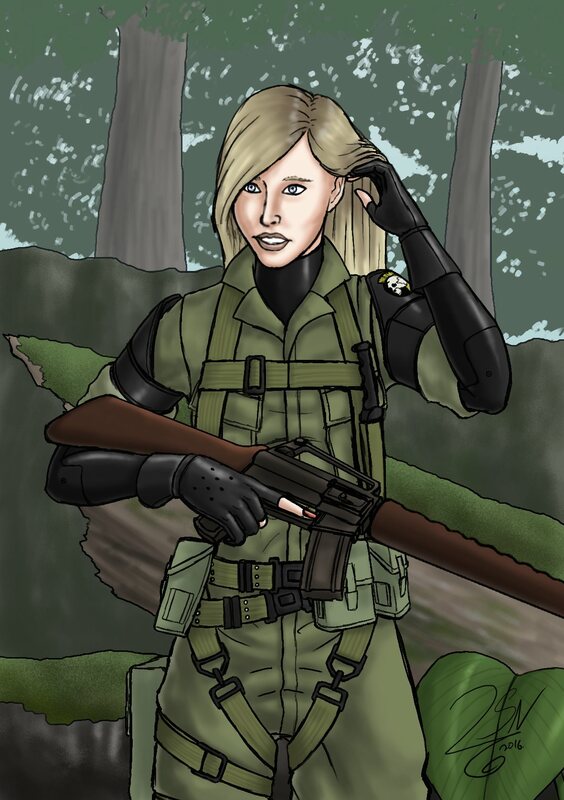 She played though the MGS series at one point, that was when I decided to draw her the first tribute picture, in which I drew her as Metal Gear Solid: Peacewalker’s Big Boss (if you are not a MGS fan, I am so sorry for how confusing that sentence was). Later in her streaming carrier she started learning Terran in SC2. To celebrate the occasion I made her a Medic, even though she already practically is.